041519 - Senator Elder Vogel, Jr. 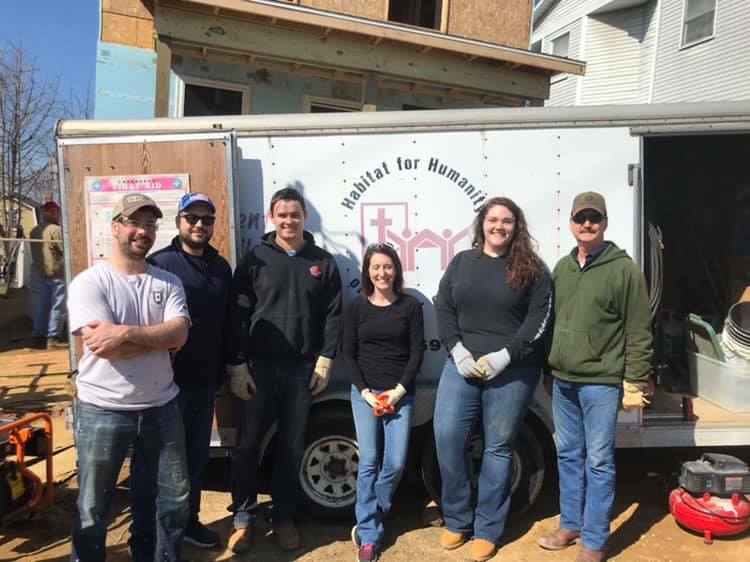 I had a great day volunteering with my staff at Habitat for Humanity’s current build site in Rochester. 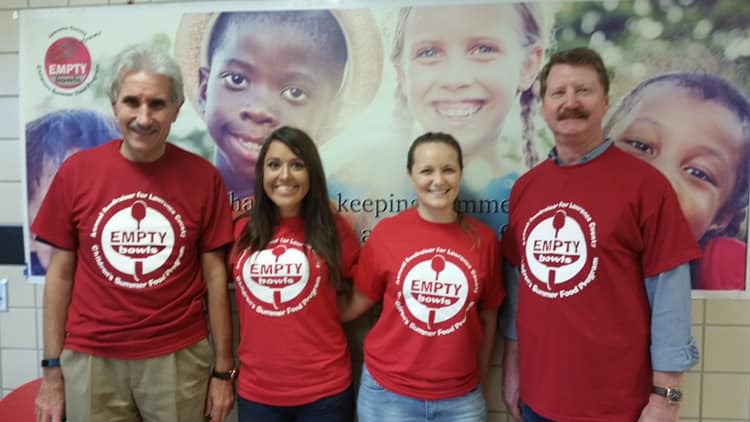 It’s a great cause that can always use energetic volunteers! Click here to find out how you can get involved. The Commonwealth Financing Authority on March 26th awarded $ 2,139,339 in state Multimodal Transportation Funding grants for three projects in Beaver County. The Borough of Monaca was awarded $1 million for streetscape improvements along Pennsylvania Avenue from 13th Street to 16th Street. Planned improvements include signal upgrades, sidewalk and crosswalk renovations, as well as lighting, bicycle racks and storm water management installation. Midland Borough was awarded $650,000 to restore sidewalks and resurface roads on Midland Heights Circle, Midland Heights Midcrest, Railroad Lane, as well as Ohio, Virginia and Woodlane avenues. Geneva College in Beaver Falls was awarded $489,339 for its South Campus Corridor project. The project includes new sidewalks, curbing, lighting, fencing and landscaping. This is good news for Beaver County and all local residents. Grants that Pennsylvania provides for the enhancement of its transportation infrastructure are long-term investments in communities and enhance the region’s attractiveness for economic development. They are essentially investments that improve the quality of life for everyone. The trout waters are stocked and the statewide fishing season is right around the corner, according to the Pennsylvania Fish and Boat Commission. Engage your family in Fish-for-Free Days when anyone can legally fish without a license on Pennsylvania waterways. For 2019, Fish-for-Free Days are set for Sunday, May 26 and Thursday July 4. Don’t have enough rods, reels, and tackle for the whole family? See the Commission’s Borrow a Rod and Reel webpage enabling you to borrow the necessary gear as you would a book from the library. 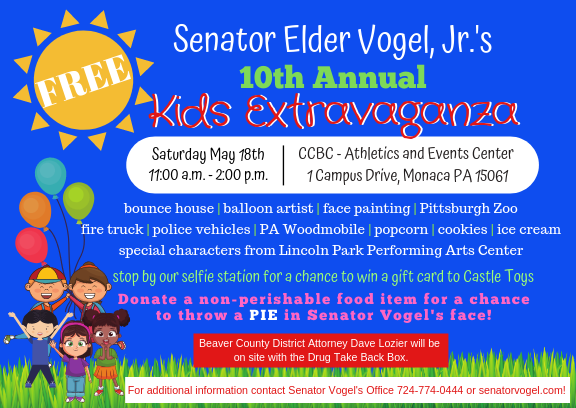 Please join me on Saturday, May 18th, for my 10th Annual Kids Extravaganza. Representatives from a number of state and local agencies will be on hand to provide useful information for children and their families on programs, government services and more. In addition, there will be door prizes, refreshments, and entertainment. KIDS, don’t forget to bring a non-perishable food item and you could win a chance to throw a PIE in my face! Contact my Rochester office at 724-774-0444 if you have any questions. The Pennsylvania Department of Banking and Securities (PA DOBS) witnessed a 17 percent increase in elder financial abuse, constituting 40,000 allegations of elder abuse during the previous fiscal year. Consider appropriate questions and guidance if decision making appears impaired, there are signs of suspicious behaviors, or evidence of unexplained account activity. Anyone witnessing similar problems is encouraged to call the Elder Abuse Hotline 1-800-490-8505 to report any type of elder abuse. 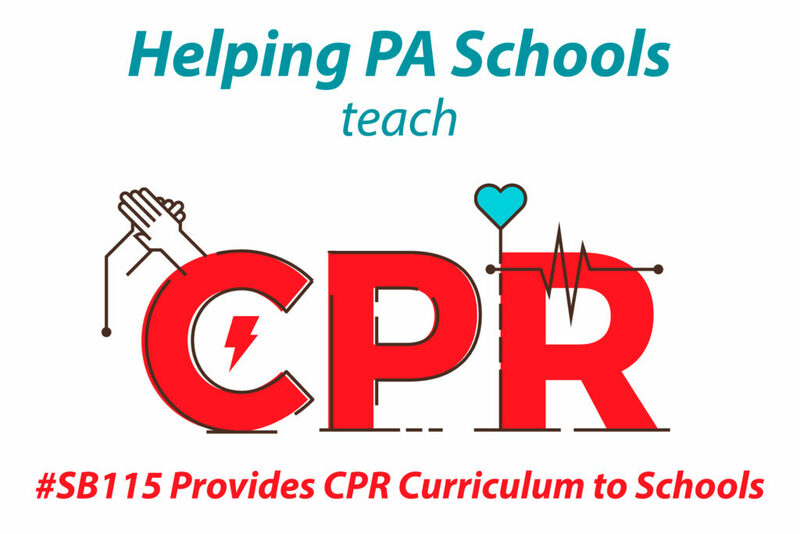 The Pennsylvania Senate unanimously passed legislation aimed at saving lives through greater education and training in cardiopulmonary resuscitation (CPR). This legislation is a top priority of the American Heart Association and the American Stroke Association. It is also supported by the Pennsylvania State Education Association, Sudden Cardiac Arrest Foundation, Children’s Hospital of Philadelphia, Pennsylvania Athletic Trainers Society and Independence Blue Cross. If the bill becomes law, Pennsylvania would become the 39th state to enact such CPR legislation. The measure now goes to the House of Representatives for consideration. The PA Department of Environmental Protection is surveying all counties to track tick habitats, life stages, peak activity levels, and disease detection. Between July 2018 and mid-March 2019, DEP collected 3,663 adult black-legged ticks. Individuals are encouraged to see a doctor within 3 to 30 days of a tick bite if symptoms appear, including fever, fatigue, headache, muscle aches, joint pain, with or without a skin rash or bull’s eye. Current Lyme Disease treatment includes oral or intravenous antibiotics. Pennsylvania’s least favorite hitchhiker – the Spotted Lantern Fly is attracting renewed attention from the U.S. Department of Agriculture and Penn State Extension, as well as expanding the eradication goals of the Pennsylvania Department of Agriculture as it spreads into Dauphin County. Businesses moving equipment and goods out of a quarantined county must obtain permits to continue that transport. Permit training, an employee toolkit, and local related meetings are available. The threat propelling agency action includes reduced crop yields for grapes, apples, hops, walnuts, and other hardwoods. The damage to the state’s economy is anticipated to be nearly $18 billion. Thank you to everyone who came out to support the Empty Bowls program. It was a wonderful event! Everyone wants to live, work, and play in a clean and green community, and it’s up to everyone to make it possible and improve the overall quality of life for us all. The Great American Cleanup is underway across Pennsylvania through May 31. Cleanup groups registered between April 13 and May 6 have access to reduced or free trash disposal. Last year, nearly 130,000 volunteers removed more than 7.2 million pounds of trash from PA roads, shorelines & trails. For more information or to find a way to get involved, please click here.